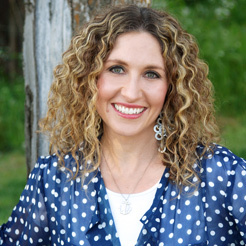 My husband always tells me to “clean as you go.” This advice has proved to be very wise, but especially when it comes to the kitchen. We use our kitchen all-day-every-day to prepare and eat food. It gets dirty, greasy and gross in a hurry. And when I think about it, the kitchen’s the place where we’re often consuming our food too, and the last place I want mess and germs to live. Then wash the dishes as you cook, and by the time you’re done cooking, the majority of the dishes are done. You’ll also find yourself using the soapy water while the food is cooking to wipe off counters, cabinets, drawers and the fridge. 2. Store your meat in the fridge on top of a baking sheet. 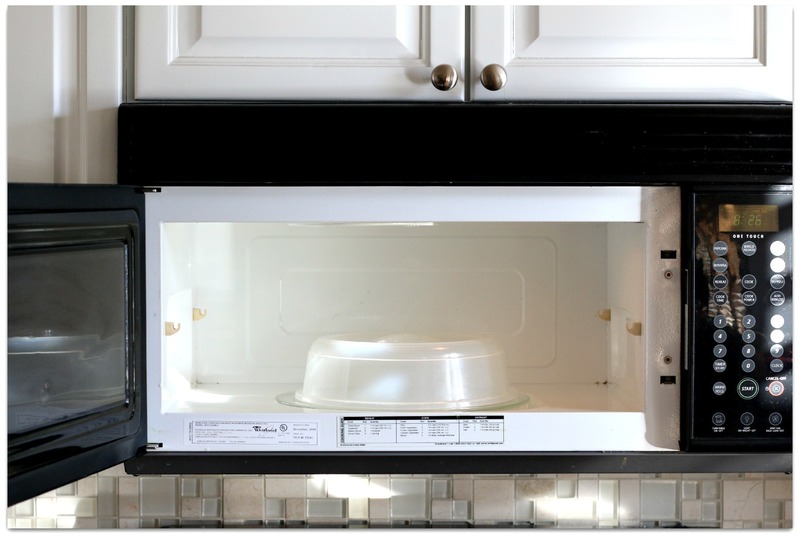 This way, no drips or contamination stays in the fridge and migrates to other food. 3. 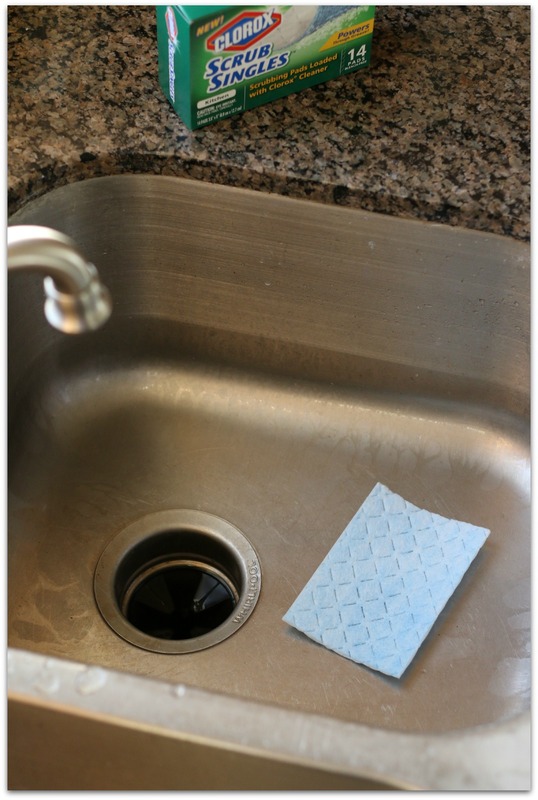 Scrub your sink with a kitchen scrubber. I once read that the germiest place in your kitchen is the kitchen sink. And I believe it! Think of all the stuff that ends up in there. Chicken juice, residue from dirty handwashing, dirty dishes, etc. Not to mention the drain part of the sink…ewwwwww. Keep it clean and sanitised by giving it a good scrub down with some steel wool or other abrasive cloth. 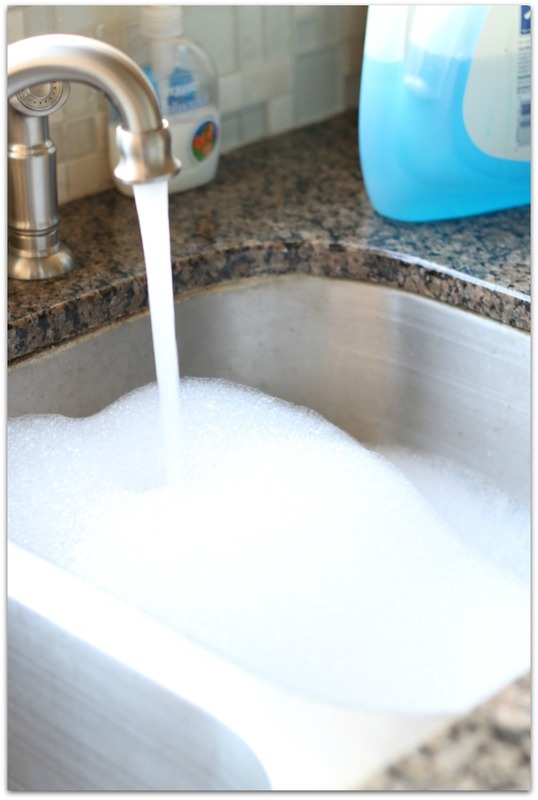 Use your regular kitchen cleaner, or for a cheap alternative, sprinkle the sink with bicarb then spritz down with vinegar and scrub while the mix foams. 5. 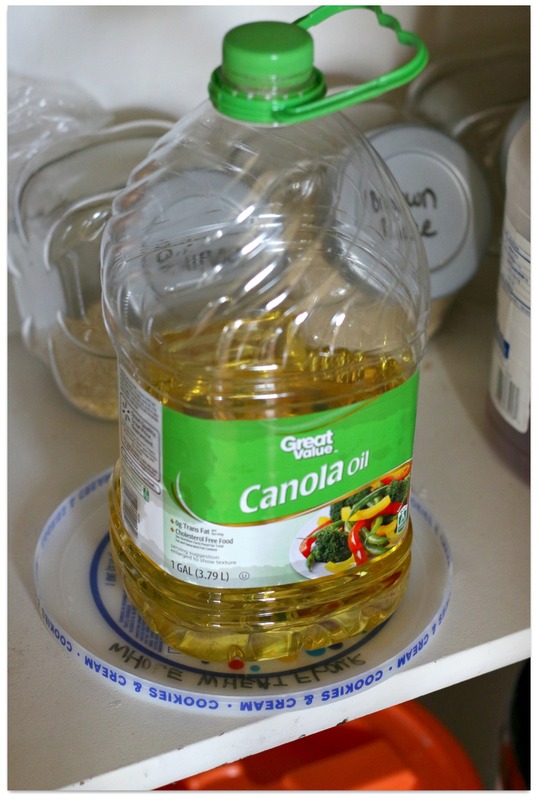 If you buy oil in a big jug like I do, you’ll want to set it on an old ice cream container lid. 6. 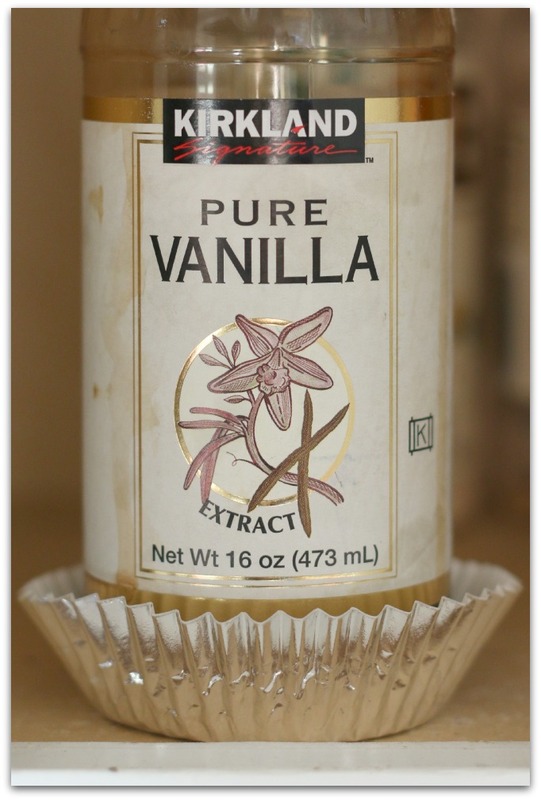 Place your container of vanilla on top of a cupcake liner. 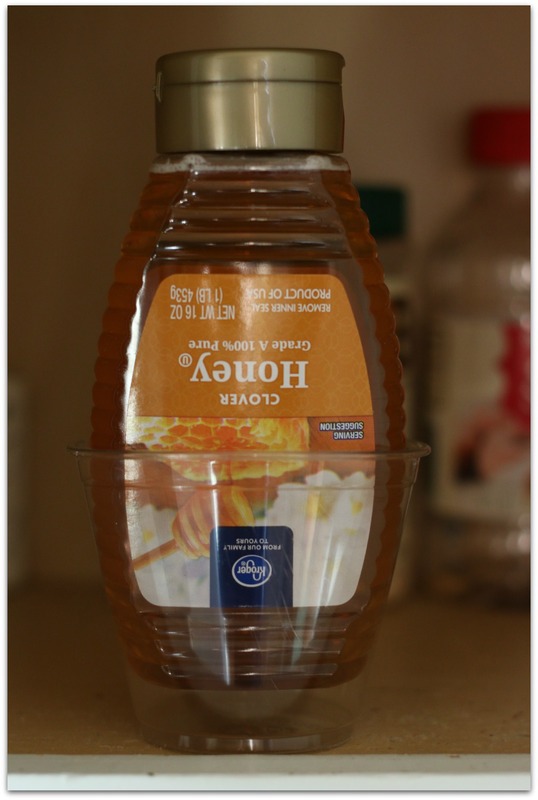 This will catch the drips and keep the bottom of your cupboard from getting grimey. 7. 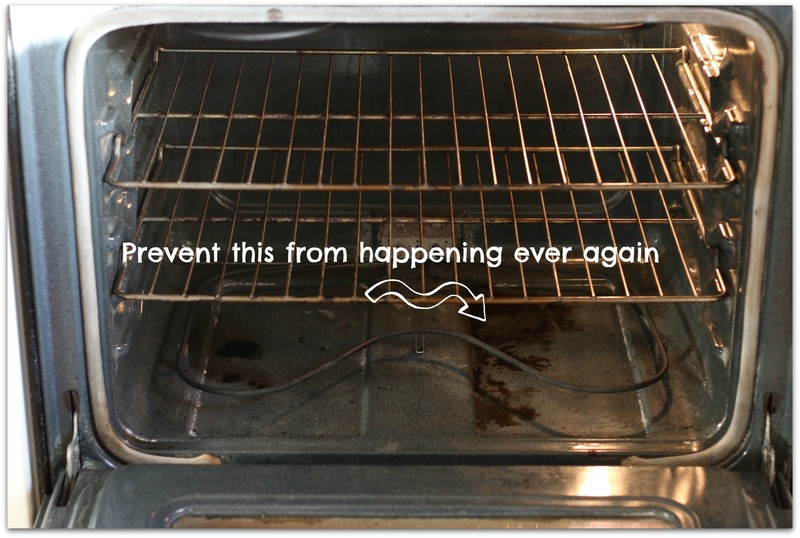 Put an oven liner mats in the bottom of your oven. That way when food bubbles over you won’t be left with a baked-on mess. Just remove the mat after the oven has cooled, and rinse it off. You can also line the bottom of your oven with aluminium foil for much the same effect. 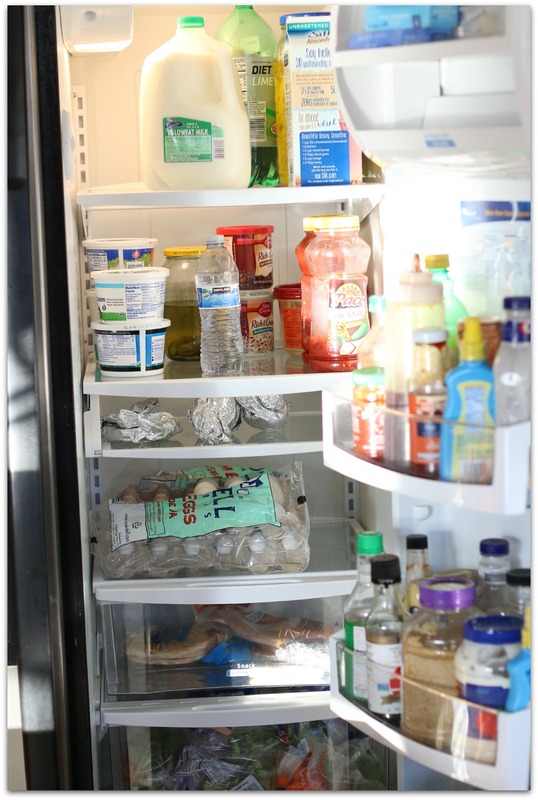 This will do wonders for keeping your fridge clean and clear of drips from bottles of dressing, sauces, salsa, etc. 10. Store several garbage bags in the bottom of your garbage cans. 13. 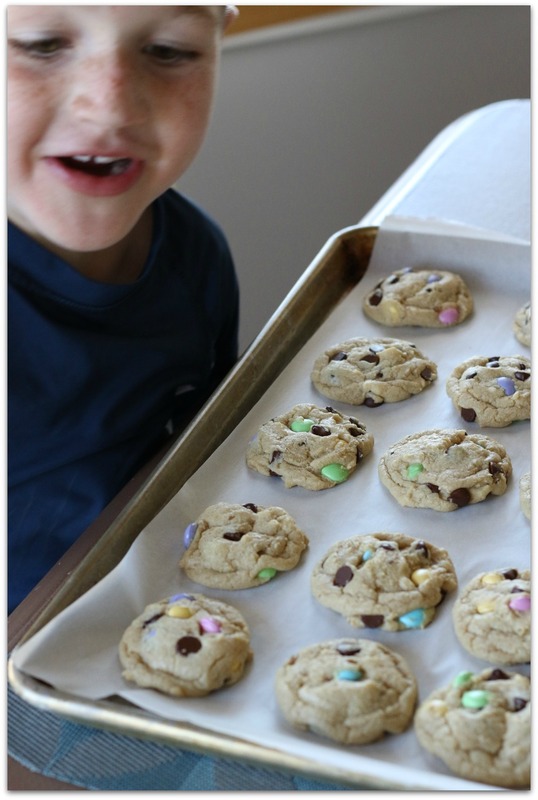 Line your baking sheets with baking paper. Your baking will cook more evenly, and you won’t be stuck with a mess to clean up. 14. 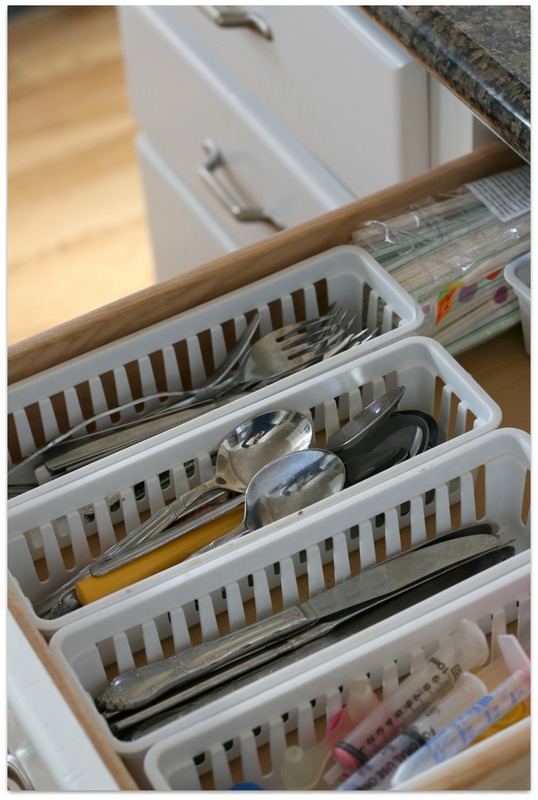 Use removable plastic containers (you can buy these at the discount shop) to store your silverware. 15. Clean your blender by filling it half full of warm water and a drop of dishwashing liquid.